Precious metals did not make as massive gains this week as they did last week, however it was a successful 5-day trading session nonetheless. As for the big topics of the week, there weren’t really many to choose from. Being that we were nearing both the end of the month and the end of the 2nd quarter, there was some economic data dealt, but it was generally overlooked and not read into too much by investors. BRExit was still in focus this week, especially through Monday and Tuesday, but global markets calmed down significantly by midweek. Moving forward you can expect that the marketplace will continue to focus on BRExit and its consequences. For now, the GBP and general outlook regarding the UK is on a downward trend, and it is difficult to envision that changing anytime soon. Speaking of BRExit, the UK’s decision to leave the EU is beginning to have consequences outside of Europe. In the US, it seems as though the choice by the UK is something that will affect the rate hike outlook. Now, there are quite a few people who are under the impression that not only are we not going to see anymore rate hikes this year, we may, in fact, see rate cuts. This is completely unexpected as almost everyone the world over was expecting nothing other than rate hikes throughout the duration of this year. Some upbeat news for the US economy was dealt in the form of an upward revision to 1st quarter GDP data. While the initial reading for the first 3 months of the year showed that the US economy grew by .8%, the upward revision showed actual growth was more than 1%. This revision was not the biggest or most extravagant, but the fact of the matter is that any upward revision is going to be viewed as upbeat. Both gold and silver can reflect upon the last month and the last 3 months with glee as these are some great time for the bulls. As for silver, these past 3 months mark the best 3 month run the metal has seen in more than 4 years. 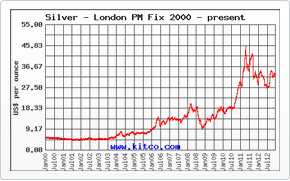 Over the last few days of this week alone, silver eclipsed the $18/ounce threshold and is inching towards the $19 mark. As for gold, the month of June will mark the best single month of the year apart from February. The great thing about these past few months’ worth of gains for both gold and silver is that it seems as though they can be sustained. It will be interesting to see, but with uncertainty and slow economic growth plaguing the global economy, it is highly likely that safe-haven demand for metals will persist. To wrap things up, there was a report this week that European economic confidence in the month of June fell from May. Perhaps the most telling facet of this report was that it was officially filed before BRExit, so one can only imagine how much confidence would have fallen behind had it been released in the wake of the UK’s decision. To keep it simple, Europe will be facing an uphill climb over the course of the next few months if things do not remain stable. The UK in specific will be facing a challenge as well. The GBP has already been battered in recent days, and if things do not change in a hurry there is nothing to make us believe that the currency’s losses will not continue. All in all, the next few months, though normally slow and devoid of any major data, will be interesting in shaping the future of the EU and global economies.